Born and raised in Manila, Philippines, I’m considered a “Martial Law Baby,” having grown up under Martial Law. And then as a student at the Ateneo de Manila University, I was part of our People Power Revolution! After college, I worked briefly for the Aquino government, then came to the United States to pursue graduate studies, completing an M.A. 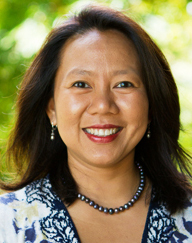 in Historical Studies at the New School for Social Research in New York, and a Ph.D. in Southeast Asian History at the University of Wisconsin-Madison. I spent most of my twenties living in New York, eventually moving to Honolulu to join the faculty at the University of Hawaiʻi. My first book was inspired by my twin passions for studying revolution and the role of women in political change. During my sabbatical year in Seville, Spain, I began work on a new book project reexamining Spanish colonialism in the Philippines, but I’ll miss drinking wine and eating tapas in Seville’s sunny plazas. 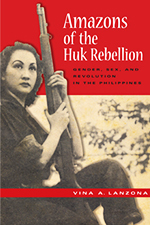 “Capturing the Huk Amazons:representing women warriors in the Philippines, 1940s-1950s,” South East Asia Research 17, no. 2, pp. 133-174 (London: School of Oriental and African Studies). “Romancing a Revolutionary: The Life of Celia Mariano-Pomeroy,” in Lives at the Margin: Biographies of Filipinos Obscure, Ordinary, and Heroic, ed. Alfred W. McCoy (Quezon City, 2000).